Origin Massage, a Chinese massage spa in Greenslopes, wanted a concept that was Ying and Yang inspired, which would engender an immediate sense of calm for clients in their waiting room, said Eden Made, MD, Grant Pratten. 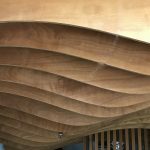 “Other bespoke features included custom timber art pieces and a contrasting curved shiplap reception desk adding to the quality and character of the new premises,” said Grant. “Our whole team enjoyed the challenge of coming up with a concept that was perfect for their business and the ambience they were trying to develop. 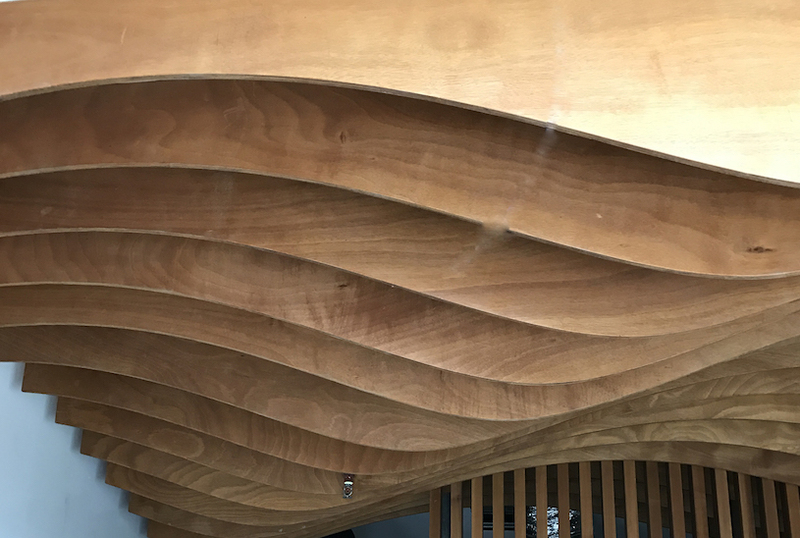 Other recent projects at Eden Made has included development of high-end joinery for the Brisbane Spa Centre. 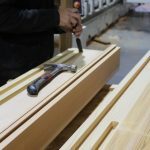 Grant said they also have a long standing partnership with Brisbane Spa Centre which creates custom saunas, steam rooms, spas and hot tubs for clients.. 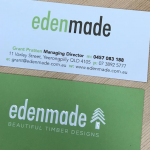 It is great to know that the skills and technology we have at Eden Made are so versatile and that a growing number of commercial business are embracing the value of natural timber to create more appealing and luxury environments. 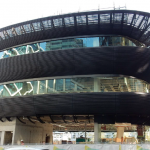 By incorporating bespoke features even commercial fit-outs can embody that feeling of Eden.